The sketch that became yesterday’s comic featuring Muffin’s new abode. I’ve got to say, yesterday’s comic was beautiful, but this is just as impressive. 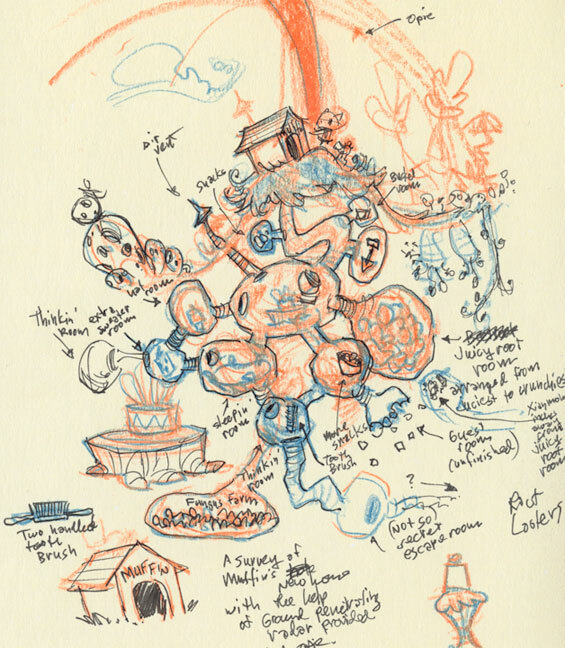 I love seeing the preliminary sketches, and this is just awesome! Thanks, Rob! Sometimes I think the sketches have more life to them.